Our goal is to be one of the world’s leading bridge engineering firms, based on a results-oriented approach and an excellent working environment which encourages the development of our staff and creative solutions to the most demanding bridge engineering, scientific, logistics and construction challenges of our era. Our clients come to FINLEY because of our reputation. It is the efforts of our dedicated staff members working on challenging and successful bridge projects that has built this world-class reputation. Our philosophy is based on ethical conduct, mutual trust and teamwork. We are dedicated to fostering a work environment that excites, enriches and personally rewards each individual. We believe in performance improvement through ongoing testing, reevaluation and continual revision of our standards of excellence. 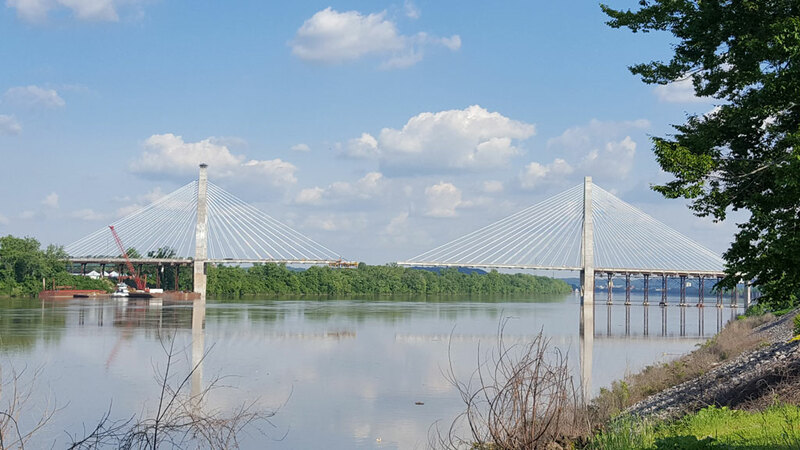 FINLEY consistently ranks as a “Top Structural Engineering Firm” and our staff recommends working at FINLEY to their peers because of the opportunity to work on complex bridge projects all over the world. FINLEY offers a competitive salary and benefits package and tuition reimbursement for graduate studies. As a Senior Bridge Engineer, you will work in a leadership role applying your expertise in complex bridge design and construction engineering. Prequalification: Must have a minimum of 8-14 years of bridge or structural design experience with a MS in Civil or Structural Engineering with a Professional Engineering License. Additionally, a Structural Engineering License OR a Project Management Professional Certification is preferred but not required. Technical Abilities: Must be knowledgeable in American and International Design Standards, able to review advanced structural analysis software outputs and completed submittals. Specifically, reviews engineering computations, material quantities, estimates, surveys and designs; CADD drawings, specifications for all complex bridge projects. Must demonstrate the ability to provide technical development and mentorship to junior bridge designers and engineers. Project Management Abilities: Must be able to lead, organize major bridge projects or multiple projects simultaneously and manage multiple project teams’ assignments, schedules, budgeting, oversight of subcontractors, and client relations to meet project requirements. Must be able to represent FINLEY at onsite client meetings, industry presentations etc. As a Bridge Engineer, you will utilize your experience in complex bridge design and construction engineering. Prequalification: Must have 4-6 years of bridge or structural design experience with a MS in Civil or Structural Engineering with a Professional Engineering License. Technical Abilities: As a developing technical expert, must be knowledgeable in American and International Design Standards, able to perform advanced structural analysis, prepare engineering computations, material quantities, estimates, surveys and designs; completes CADD drawings, specifications for complex bridge projects. Their technical proficiency allows for review of small packages of a larger submittal. Project Management Abilities: Must be able to lead and organize small teams of Bridge Designers and other Engineers to complete individual project packages for an overall project submittal. FINLEY Engineering Group is currently seeking highly-qualified Bridge Designer candidates set to graduate in both August and December of 2019 to join its rapidly-growing team in Tallahassee, Florida. Prequalification: Must have 0-2 years of bridge or structural design experience with a MS in Civil or Structural Engineering with an Engineer in Training License. Technical Abilities: Must be proficient in engineering CADD, modeling, and design software packages; to complete drawings and to perform basic structural analysis, prepare engineering computations, material quantities, estimates, surveys and designs for use on complex bridge projects and be able to implement American and International Design Standards. Click here for job descriptions in Czech. Complete the PDF job application and submit the application below. For Tallahassee positions, only USA citizens or applicants with proper work permits / visas only, must be able to work in the United States permanently now or in the future. Download our PDF Application Form.